More than 50,000 healthcare workers from three unions have announced they are united for a strike in early May against the University of California. 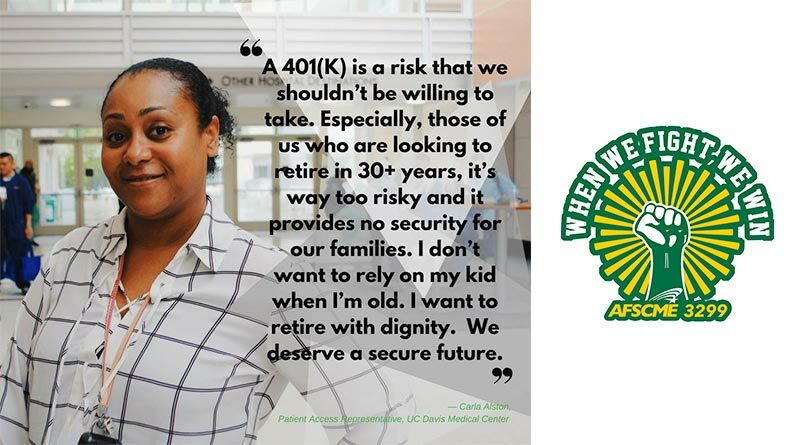 Nurses, medical technicians, research workers and others plan on walking out of all University of California medical campuses from May 7 to May 9 in solidarity with the members of AFSCME 3299, which has been unable to negotiate a fair contract with the University. In Sacramento, about 10,000 workers plan on striking the University of California, Davis, both at the main campus and at the Sacramento-based medical facility. Along with AFSCME, members of the California Nurses Association and University Professional and Technical Employees – CWA will walk out in solidarity. CNA represents about 14,000 nurses, and UPTE-CWA represents about 15,000 health-care, research and technical workers. AFSCME 3299 represents about 24,000 patient-care and service workers. Along with fair pay and working conditions, the union is seeking to stop the University from contracting out jobs for which its members are trained. With contract negotiations and post-impasse mediation procedures being exhausted after a year of bargaining, AFSCME Local 3299 represented workers at the University of California voted with 97 percent approval to authorize a system-wide strike in April. The strike authorization came just two weeks after massive protests of unequal treatment for working women of color at the University of California ended with 18 arrests in Los Angeles on the 50th death anniversary of Martin Luther King Jr. The protests were a direct response to the release of a new study that revealed worsening income, racial, and gender disparities amongst UC’s workforce, including those working directly for UC and those working under contract.